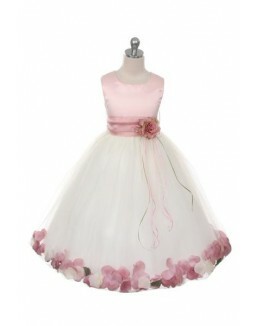 A simple, elegant look with sweet flower petal details! 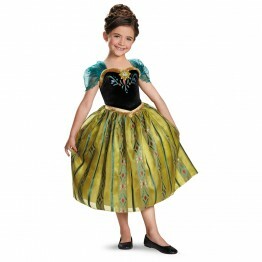 Sleeveless satin bodice with a tulle overlay skirt. 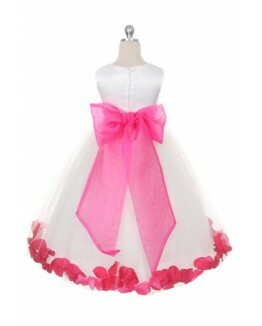 Adorned with a large flower detail that rests on the center of the sash waistband with flower petals trimming the hemline of the skirt. 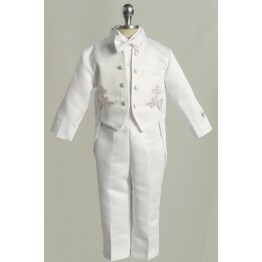 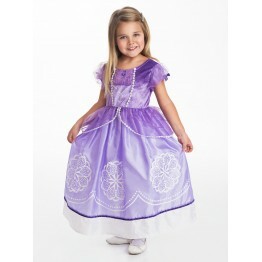 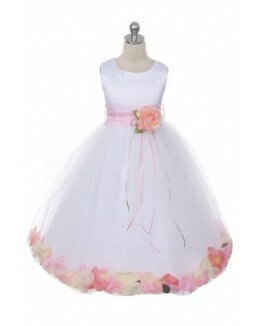 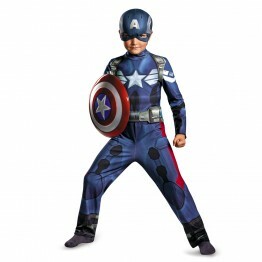 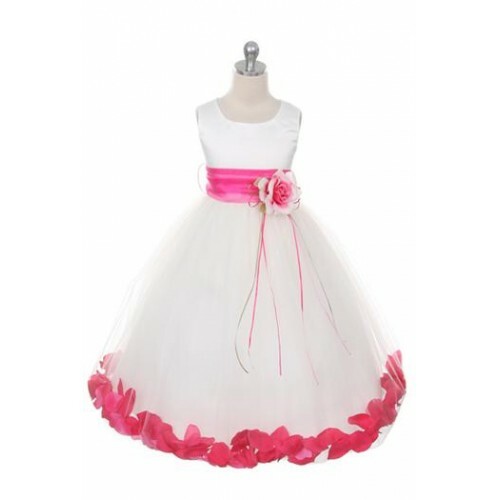 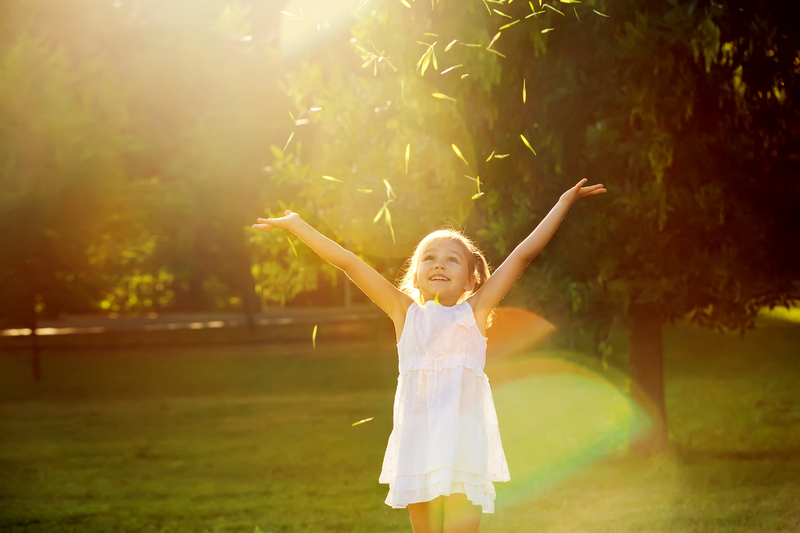 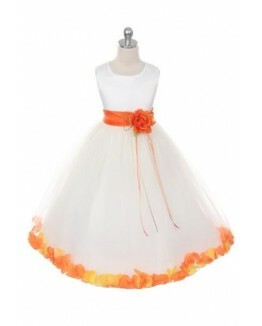 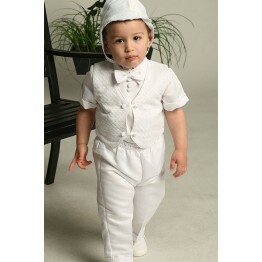 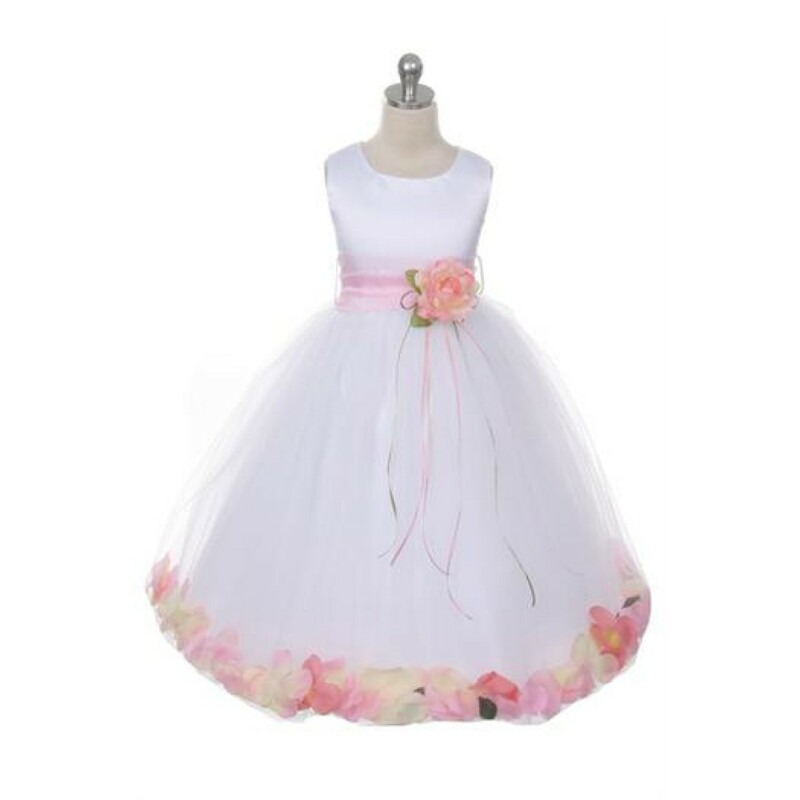 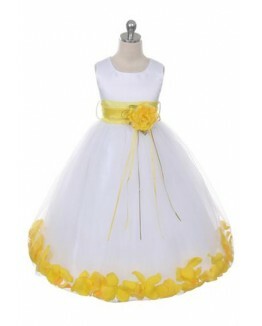 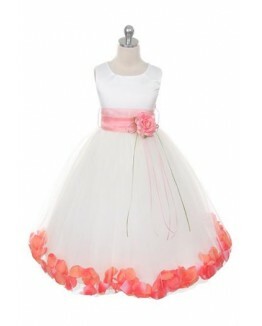 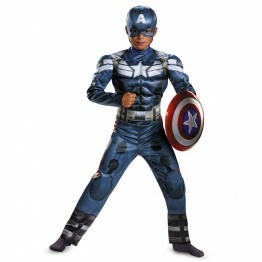 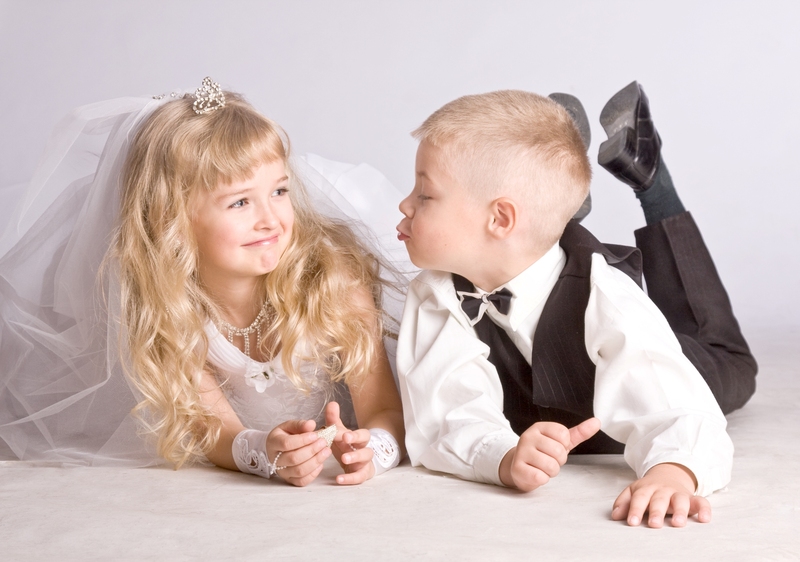 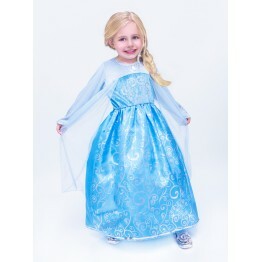 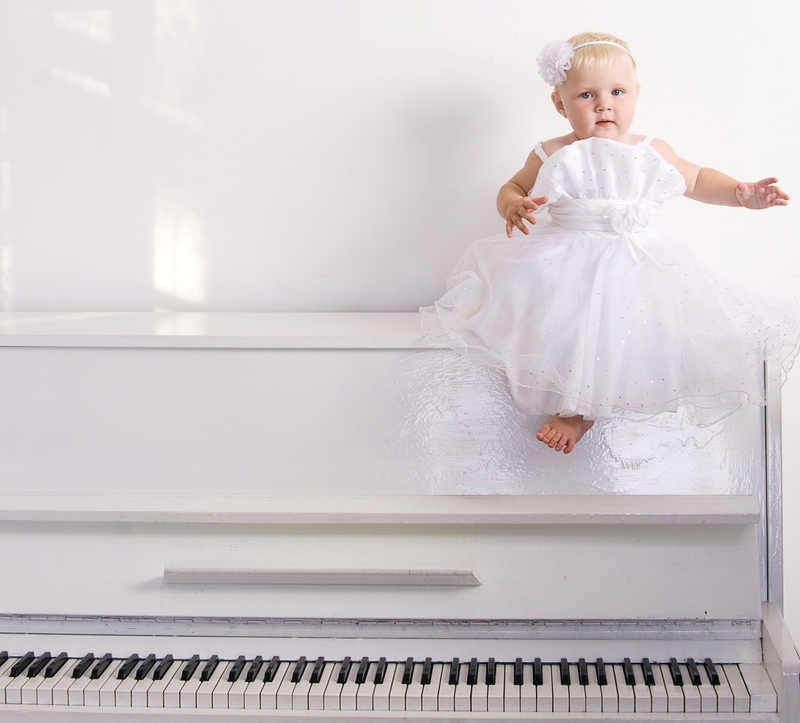 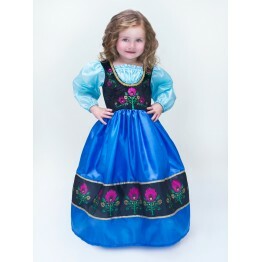 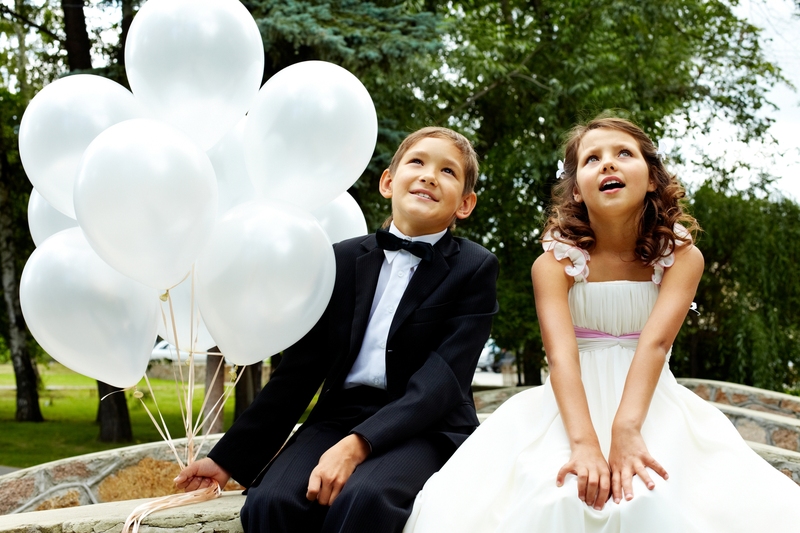 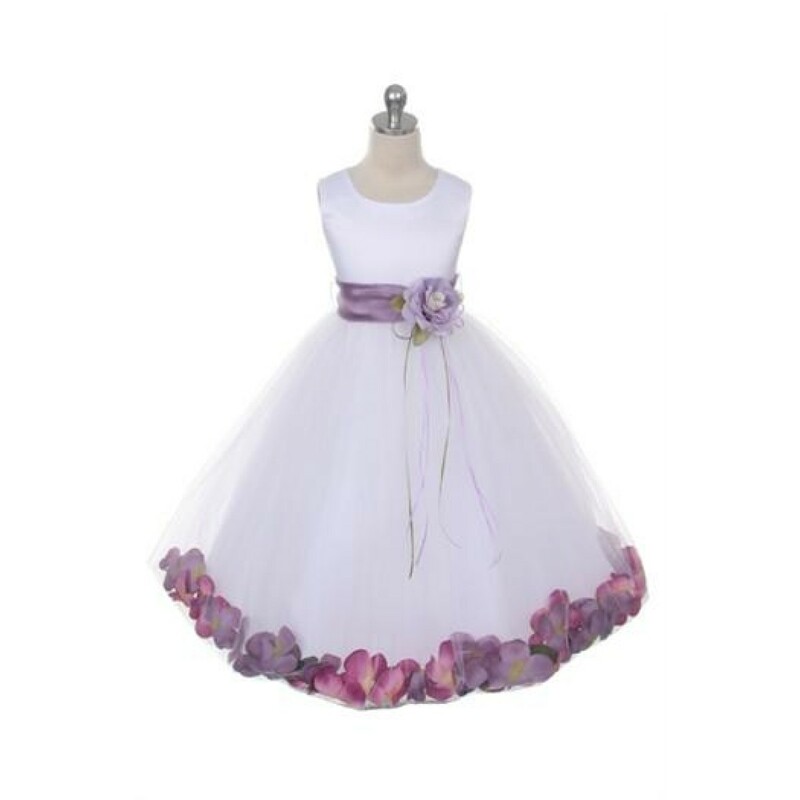 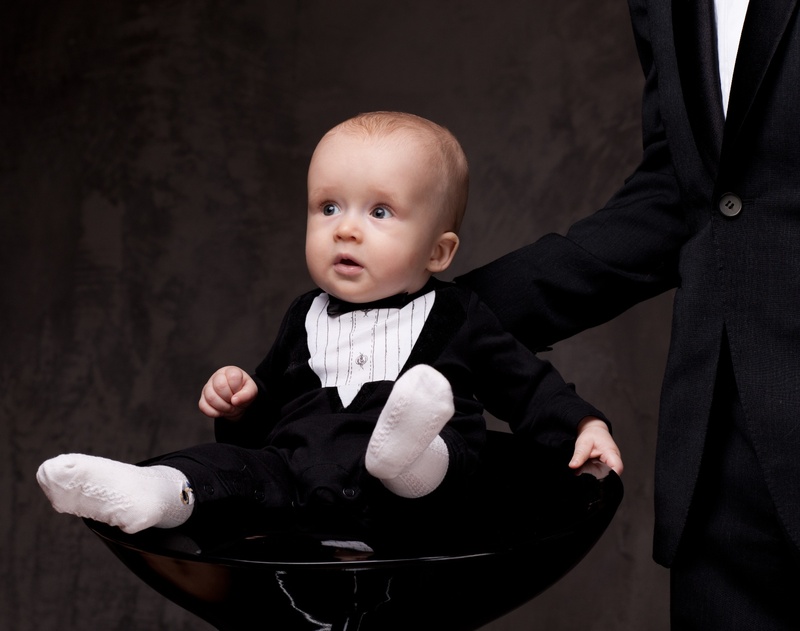 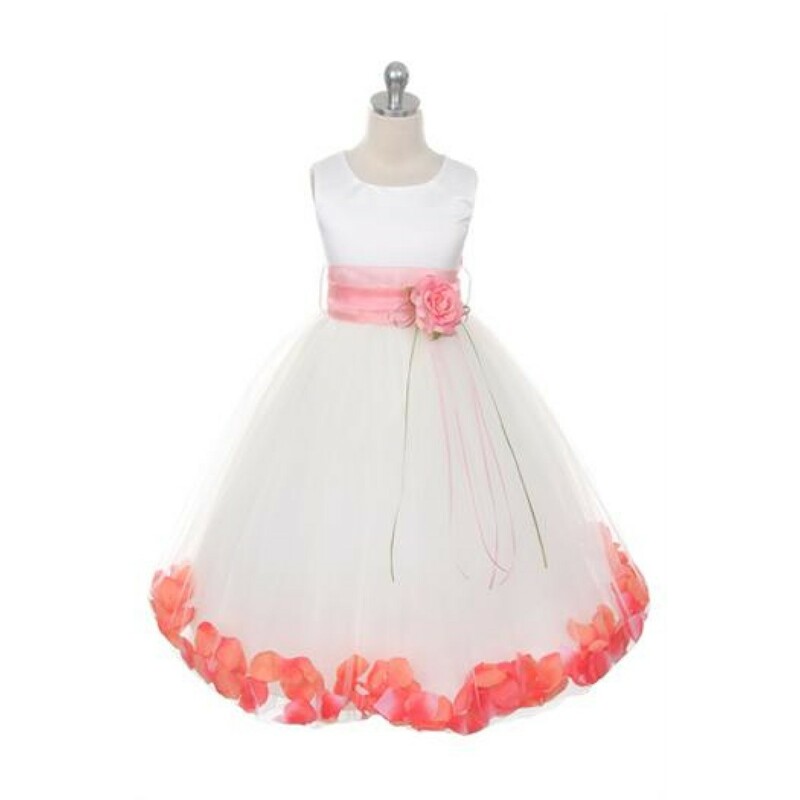 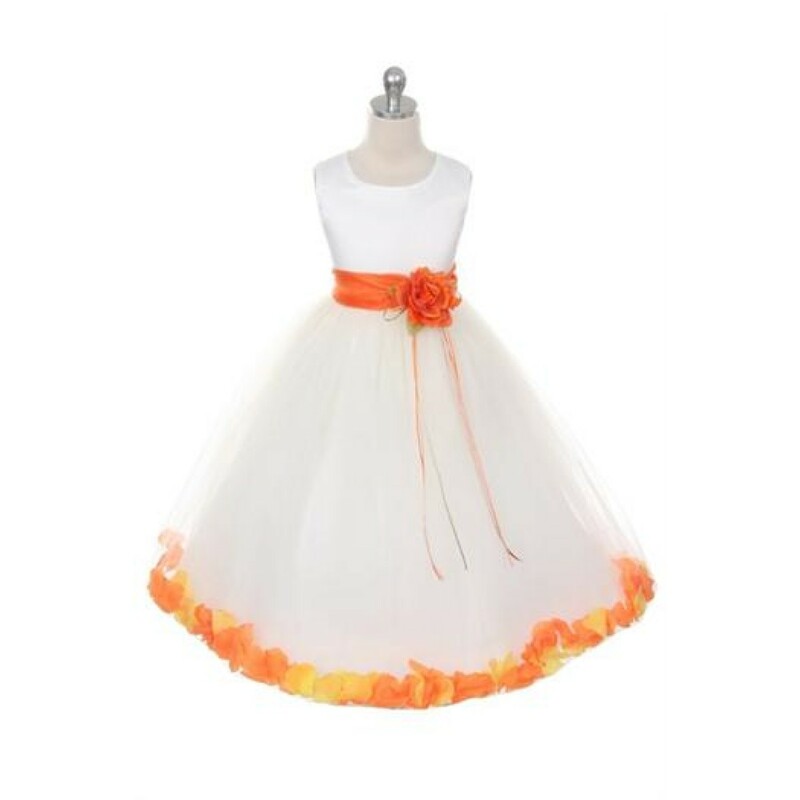 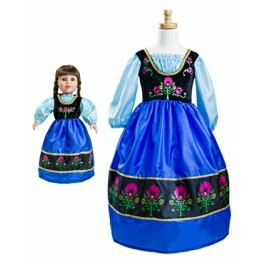 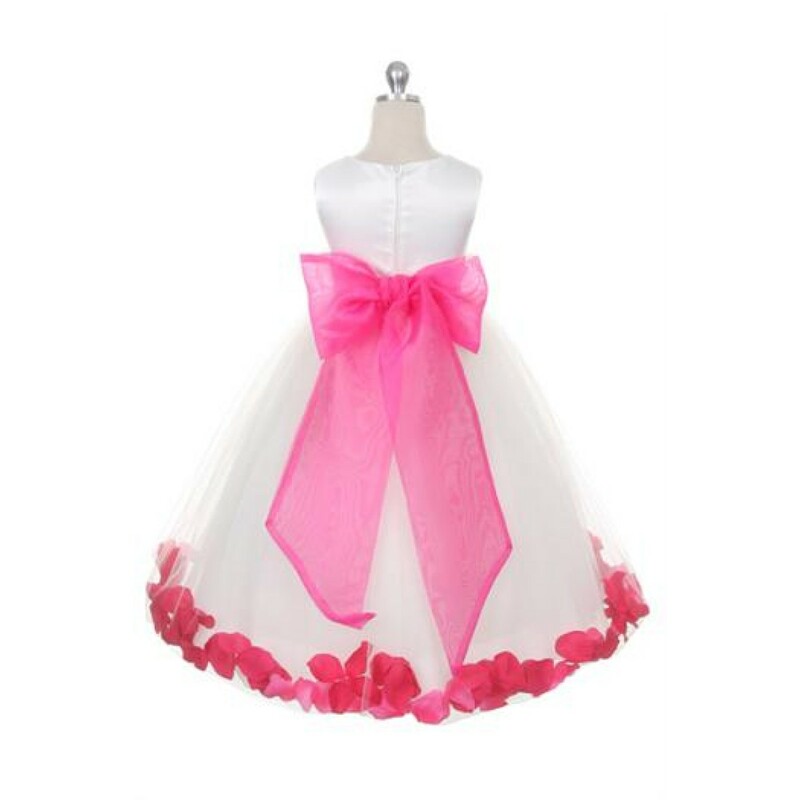 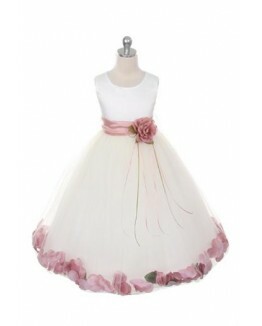 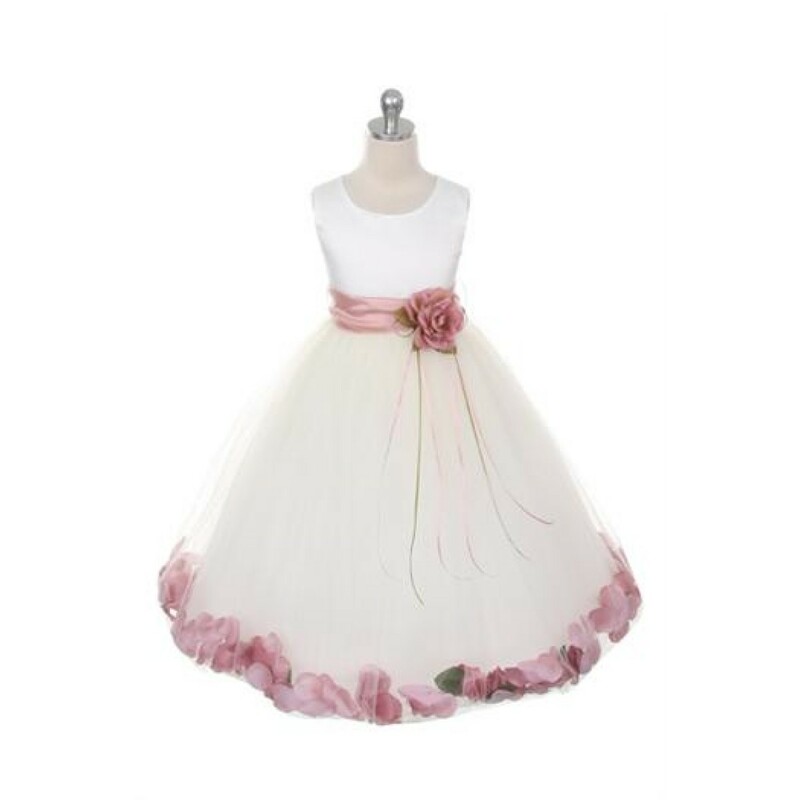 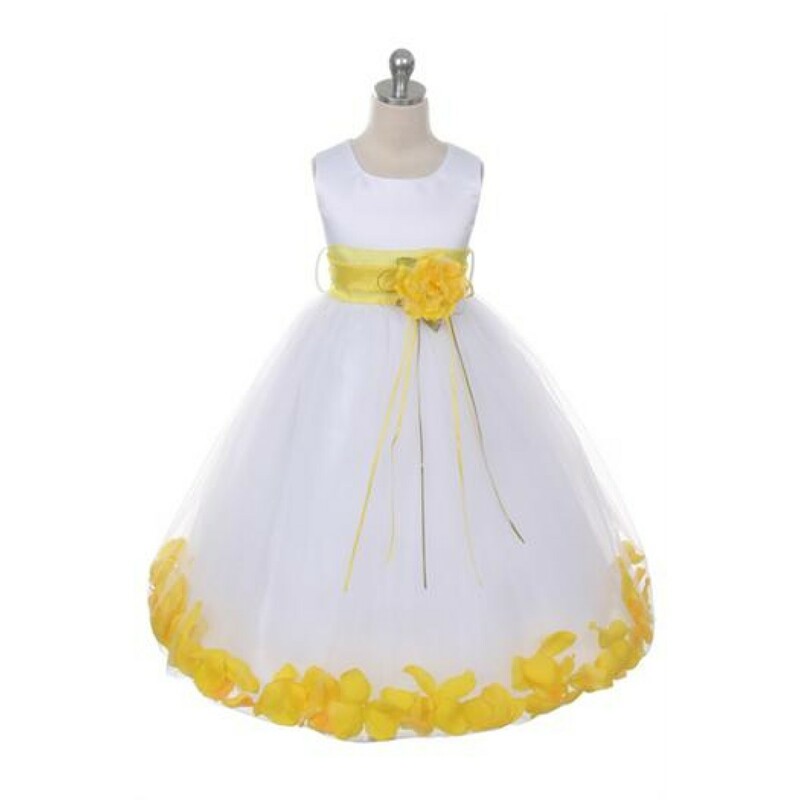 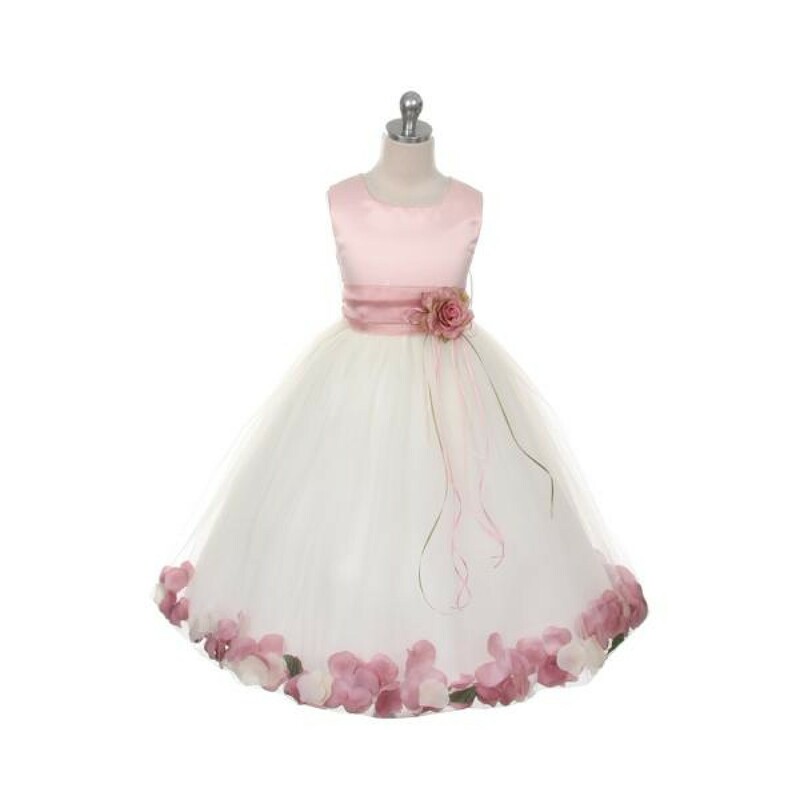 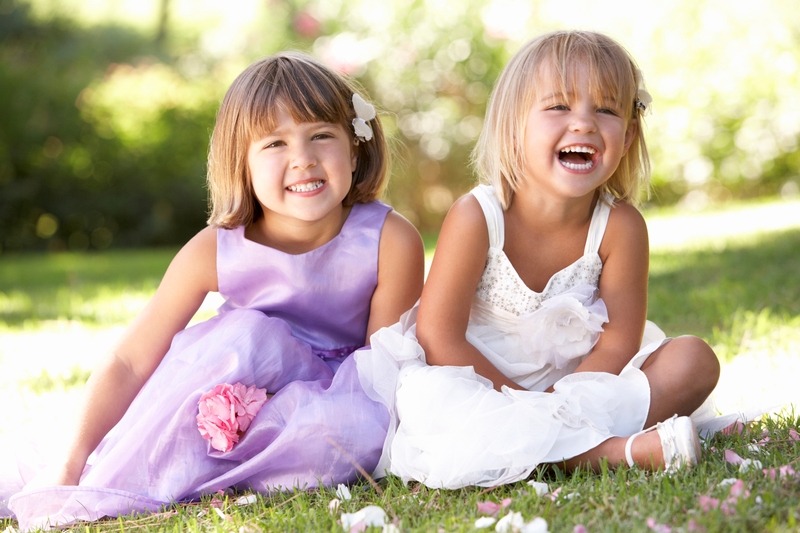 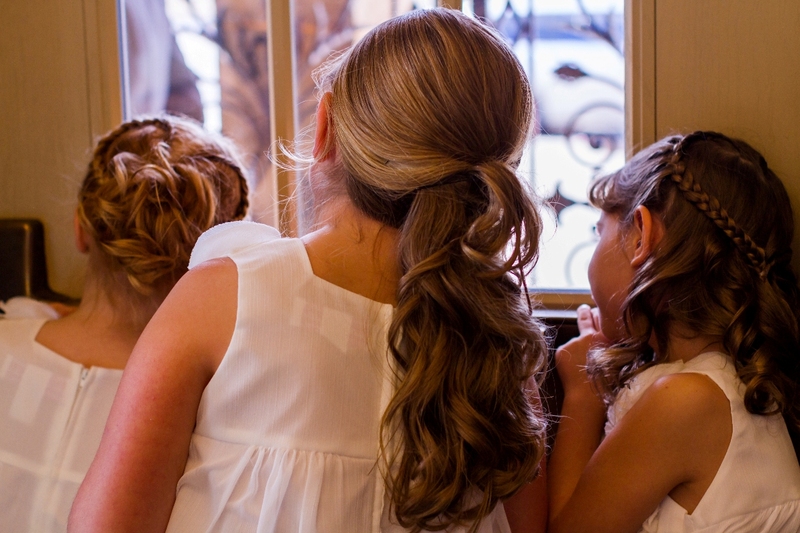 Perfect for a flower girl, junior bridesmaid, holiday, junior prom, and any other special occasion. 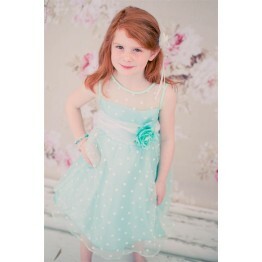 Zipper closure on back with tie-back sash. 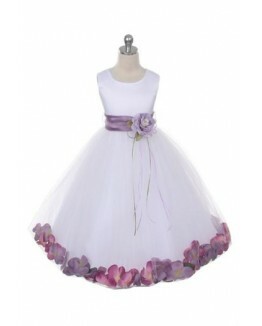 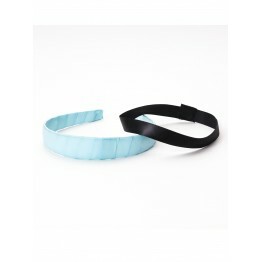 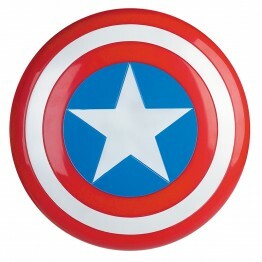 Comes with changeable color flower that matches the flower petals.